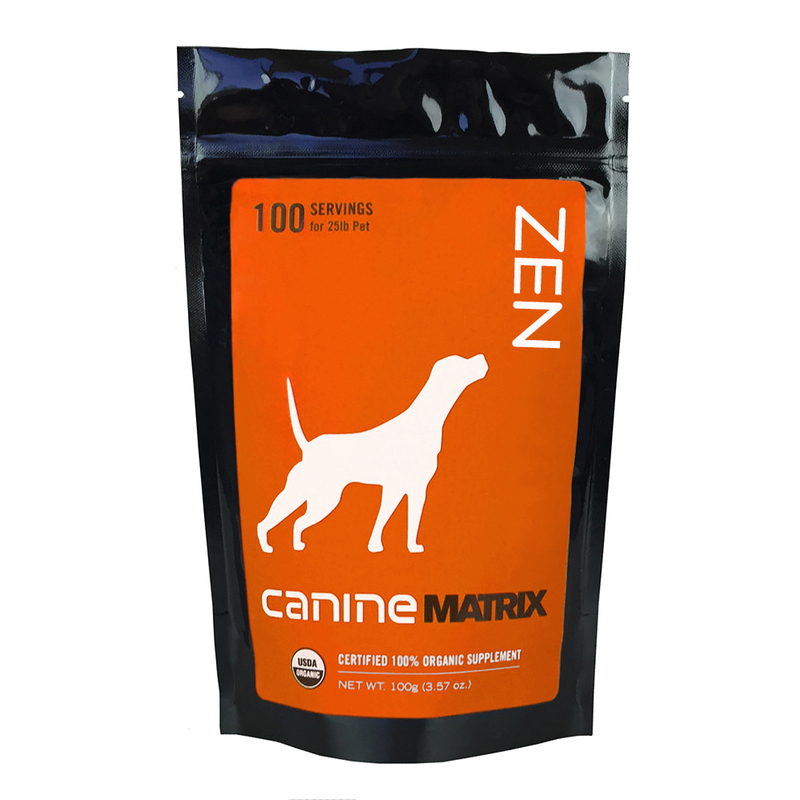 Our novel blend of Certified 100% Organic Medicinal Mushrooms has “adaptogenic” effects – helping your pet have more balanced behavior and less anxiety. 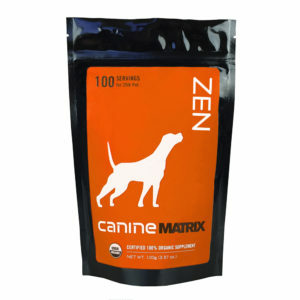 Zen Matrix is great for training puppies, anxious animals or the canine athlete who needs more focus. • Reishi mushroom helps with managing stress – considered to be an “adaptogen” to enhance focus. • Natural balance and modulation of endocrine system helps manage adrenalin response, keeping your pet calm. • Digestive enzymes and prebiotics mitigate nervous stomach and digestive stress from anxiety. 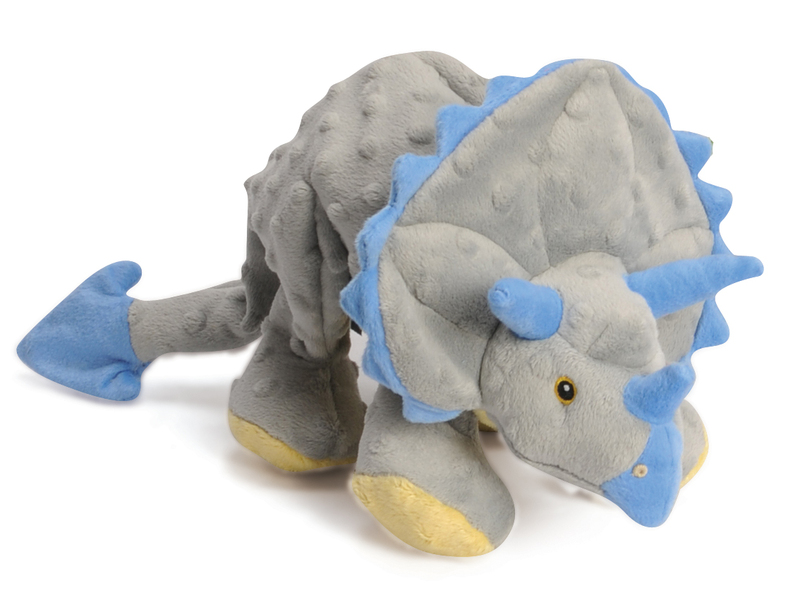 • Does not sedate or change your pet’s personality – just helps keep them focused and calm… Naturally. 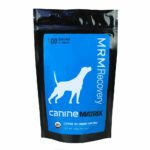 Ingredients: Contains a proprietary blend of Certified 100% Organic Mushroom mycelial biomass cultured on organic oats:Pleurotus eryngii (King Trumpet), Cordyceps militaris, Trametes versicolor (Turkey Tail), Ganoderma lucidum (Reishi), and Antrodia camphorata mycelial biomass. 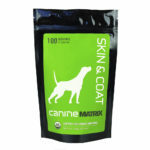 Contains no added excipients, sugars, fillers or preservatives.